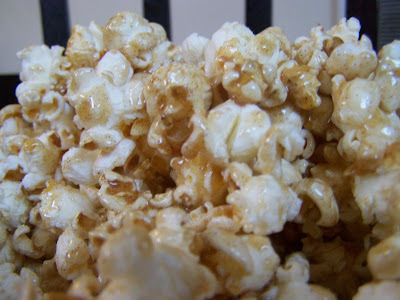 Cinnamon Vanilla Popcorn has to be one of my favorite fast treats. It requires basic ingredients and requires minimal effort. I love to take it to picnics and family outings. The vanilla and cinnamon are a heavenly combination-both in flavor and aroma. This is also an easy treat to make if you are catering to someone with a gluten intolerance (just make sure to use Gluten Free Vanilla). I hope that you will give this quick and easy recipe a try. This is a recipe that you are sure to share with most anyone you serve it to-so make copies of the recipe-people will be asking for it. 1-Place popcorn in a large bowl and set aside. In a medium saucepan, combine the butter, sugar, and corn syrup. Bring ingredients to a boil over medium heat. Boil and stir for about 2 minutes, or until mixture is golden brown and is to soft ball stage. 2-Remove from the heat; stir in baking soda, vanilla, and ground cinnamon. Pour over popcorn and toss to coat. Cool slightly; break apart while warm. Tips and tricks: After popping popcorn shake the bowl so that the kernels fall to the bottom. 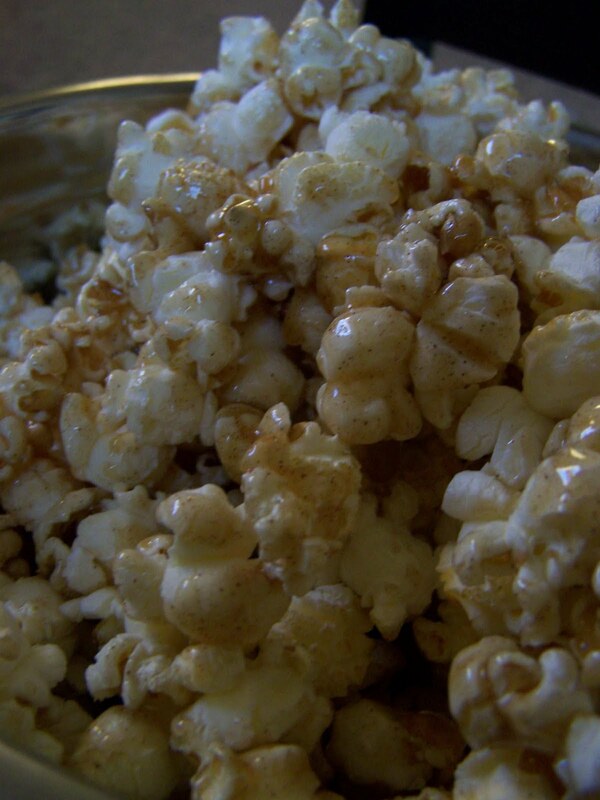 Transfer the popcorn to a separate bowl and discard any kernels that you have sifted. No you have removed all of those tooth breaking kernels. If you are anything like me you have at one time or another sat down to eat your treat before washing all of your pots and pans. A candied pan can be a pain to get clean if it has sat for too long. Fill up your pan with water (so that it covers any residue), place on the burner, and heat until the residue is softened and will come clean. Be sure to check back soon. I've got pictures of my attempt at the Warhol dress coming soon. Cinnamon and vanilla on the same popcorn? genius. This is a heavenly treat. Thanks for the recipe and the picture sealed the deal for me, this one I'm going to try. New follower here from the Monday blog hop. Let' be blogging buddies so come over and follow me too okay? I'm loving your shares so far, smiles. YUMMY! This is really a great combination. Thanks so much...my first time to your blog and not my last! Say WHAT?? Holey moley, my mom is going to flip a lid. That sounds incredible!! Thanks so much for sharing!! Oh YUM! - And I pink puffy heart eating popcorn with parmesan cheese, so to pry that out of my hand, it's gotta be goooood. I think this fits the bill! :>) I linked on my weekly roundup - thanks for sharing! I am adding this to my favs list.